Wellness tips for all ages of life! 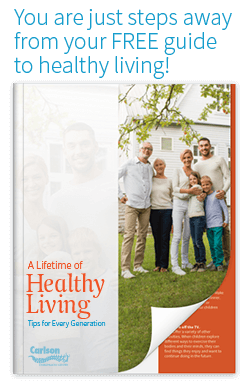 Parents of young children, teenagers, adults and seniors alike will all find useful information in our free guide, A Lifetime of Healthy Living! Fill out the form and download this excellent information! Our doctors bring their advanced experience and knowledge to our patients and can provide you with the tools you need to live a better, healthier life!